A select group of our dancers will be performing at A Christmas Carol, Saturday, Dec. 7th, 7-9 pm at the Delevan Elementary Auditorium. This is a solo performance by Mike Randall, whom you may recognize as our local WKBW-TV meteorologist. 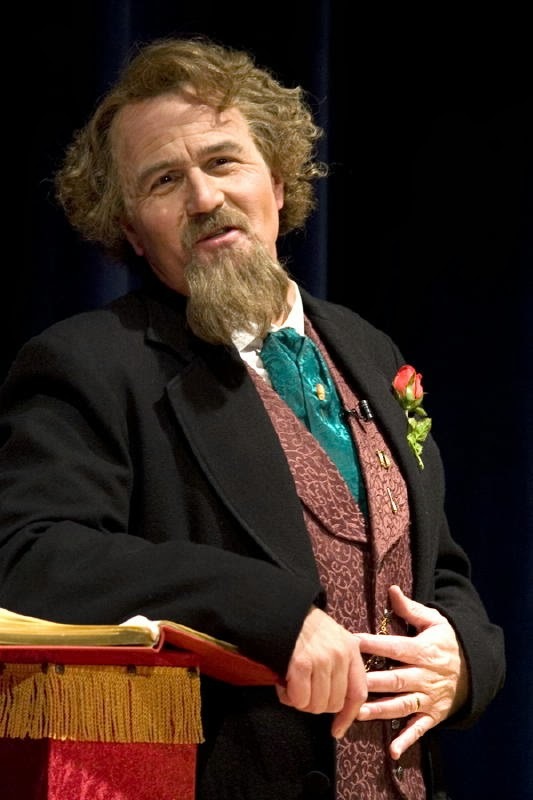 He is also, however, an acclaimed actor, who will play all of the characters, just as Charles Dickens himself had done more than a century ago. Select students from the advanced and intermediate level classes will be performing our lively version of the Russian Dance "Trepak," from the Nutcracker (as performed with AACT). Grace School of Dance is honored to support this event, a Benefit Performance for the Delevan-Yorkshire Public Library. Contact the Library 716-492-1961 to reserve your Advance Sale Tickets: $10 for adults, $6 for elementary - high school high school students. Tickets at the door will be $12 for adults and $8 for students.